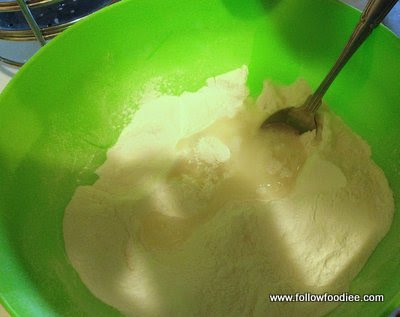 Bring the water to boil .Add salt to the steaming water.In a mixing bowl add rice flour and gradually add the water to the flour by stirring with a ladle and mix without any lumps . Make it in to a soft dough . 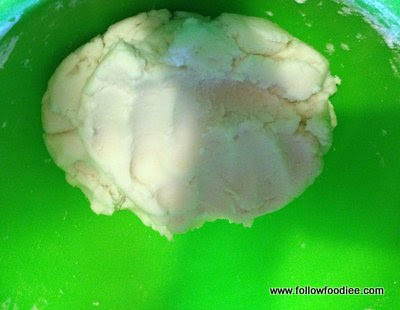 Place the dough on the string hopper press and squeeze it our in a hopper plate or it can be steamed in idly stand as well. 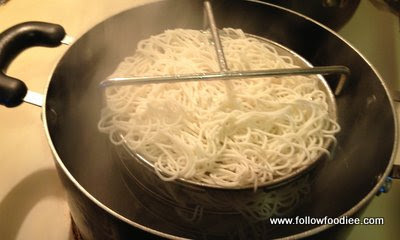 Place the hopper plate stand , cover with the lid and Steam the hoppers for 5 to 7minutes. Serve hot with chicken Curry or vegetable kurma. 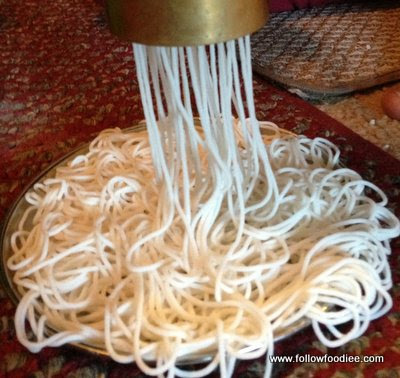 String hoppers are good for digestion and it is a very light food. Love these always with stews..perfect breakfast! !